I know my Teacher Librarian friends look for one list of special days worthy of celebration in the library, or indeed across the school. I know many parents who love to celebrate book-related days as a way of constantly keeping the family focus on books. I know teachers, desperate to encourage kids to love reading, who use special days as a way to sneak some book-related fun into a timetable overly dominated by testing. So here’s my gift to you all! I’ve been compiling a list of days/weeks/months where the emphasis is on literacy and reading. 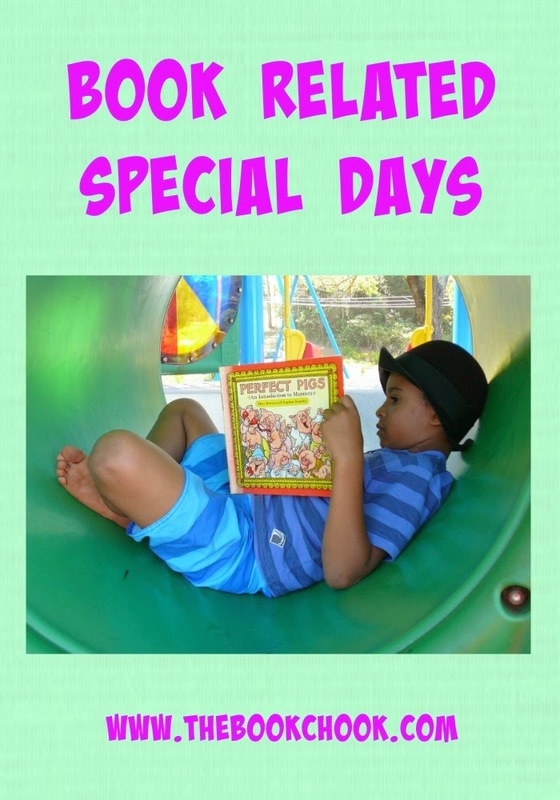 (Of course I love the fun special days too, like Talk Like a Pirate Day or Cow Appreciation Day, and the important ones like Harmony Day - I hope to publish those two lists soon.) To qualify for this list though, the special day needs to be book-related. This is an international list, meaning I’ve included special days celebrated world-wide like International Literacy Day, as well as country-specific days. After all, even though I’m Australian, I’ve borrowed many special days that originated in the US. If it’s book-related, it’s in. I’ve included a couple of author birthdays for variety, put them all into calendar order, and added dates where possible. Please tell me if you know any other important book-related days that fit my criteria. Because this is a dynamic Listly list, and I will be updating it when I can, if you bookmark this page, you’ll always find it here. Don't forget to find all the items on the list by using the left and right arrows bottom right. Love this list! Thank you for taking the time to compile it! You may want to add Star Wars Reads Day and Disney Reads Day. My students love those days!